Posted on November 9, 2016 at 9:15 am. 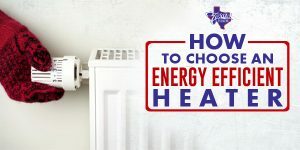 Sometimes you may find that your central heating system is too expensive to run as often as you would like, at the temperature you would be most comfortable in or you desire to have heat come in only to one room, or a centralized area. If this is the case, then you have some energy efficient heating options to choose from included vented and unvented combustion space heaters. A space heater can be purchased at a reasonable price from your local hardware store. They are a great option for heating a small space or keeping people who are sensitive to cold, warm without making other people uncomfortable. Space heaters can run on numerous fuels, ranging from kerosene, propane to electricity. Most space heaters people buy will run on electricity. 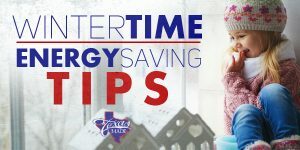 Always be sure to use common sense with heaters for safety reasons, don’t leave one running if you leave the house, and be sure to turn it off for periods of time so it can rest. It is estimated that space heaters are the cause of over 25,000 fires in homes every year. Therefore, purchase new heaters that are up to current safety standards, don’t buy second hand ones. If you are using an old heater, give it the once over and look for loose wires and faulty parts. Keep children and pets away from the heater. Heaters will come with a general sizing table on the box, you don’t want to buy a heater that is not the right size for the room you are wanting to heat because this will not be energy efficient.